Spanish Air Force C295. Photo Courtesy Airbus Industries. 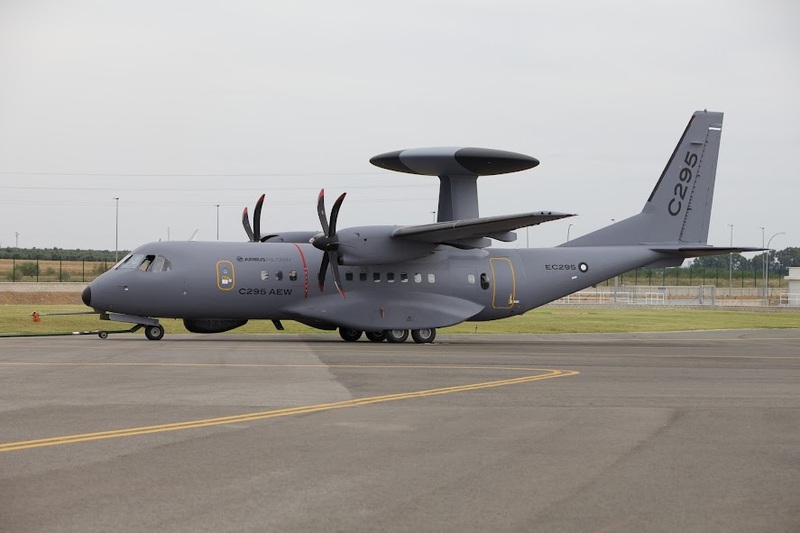 November 7, 2014 - Tata Advanced Systems (TASL) in a press release today confirmed that it has teamed up with Airbus Defense and Space to plug the Airbus C295 as Avro replacement for the IAF. Airbus Defense and Space is a division of Airbus Group responsible for defense and aerospace products and services. The MoD on May 8, 2013 sent out requests for proposal (RFPs) to eight leading aircraft manufacturers for the supply of 56 transport aircraft to replace the IAF's aging Avro fleet, at an estimated cost of Rs 13,000 crore. As stipulated by the MoD RFP, Airbus Defense and Space has offered to supply the first 16 aircraft in ‘fly-away’ condition from its own final assembly line. The subsequent 40 aircraft would be manufactured and assembled by Tata Advanced Systems in India as exclusive Indian Production Agency (IPA) for Airbus. "We firmly believe that, in the C295, we have clearly the best aircraft to replace the IAF Avro fleet and, in Tata Advanced Systems, we have secured the cream of the Indian private aerospace sector as our partner for this project. "The C295 is a superbly reliable and tough aircraft with outstanding economics which is proven in the most difficult operating conditions all over the world. It has already been ordered by 19 countries, many of which have placed repeat orders. And just this year it has dominated the market with orders for no fewer than 20 aircraft from five countries." The Business Standard reported on November 1, 2014 that only Airbus Defense and Space, and Tata Advanced Systems Ltd (TASL) consortium has submitted a bid the Medium Transport (Avro Replacement) Aircraft tender that closed on October 28, 2014. As such, MoD is likely to issue a fresh RFP since single tender procurement would require special sanction under the DPP. If TASL's joint bid with Airbus for the Avro replacement program succeeds, TASL would become a credible supplier of civil transport aircraft for the Indian and Global markets with two aircraft types under production. Move over HAL! The Airbus Military C295 can carry up to nine tonnes of payload or up to 71 personnel, at a maximum cruise speed of 260 kt / 480 kph. The aircraft is capable of short take-off & landing (STOL) from unprepared, soft and rough airstrips and features good low level flight characteristics. Powered by two Pratt & Whitney Canada PW127G turboprop engines, it features good maneuverability, good hot and high performance, low fuel consumption, and nearly eleven hours endurance. The C295 can be equipped as a air-to-air refueling tanker, AEW platform or a missile launch platform. First delivered in 2001, the C295 was developed from the CN235. IDP Sentinel members can read a lot more about the Avro replacement project at the link below.